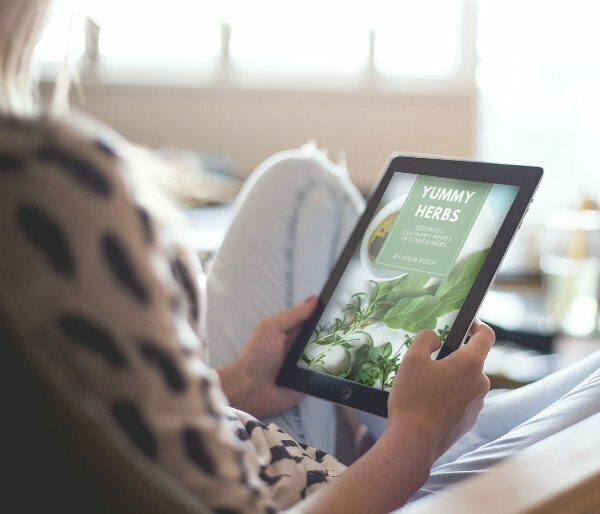 Grow FREE Plants For Your Garden! 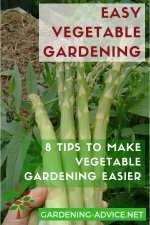 Learn how to take a cutting and grow free plants for your garden. Propagating plants is really easy and a lot of fun! Propagating your own plants is easy and a lot of fun! 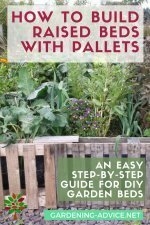 You can start off your own free plants with a very simple technique that even beginner gardeners can try. 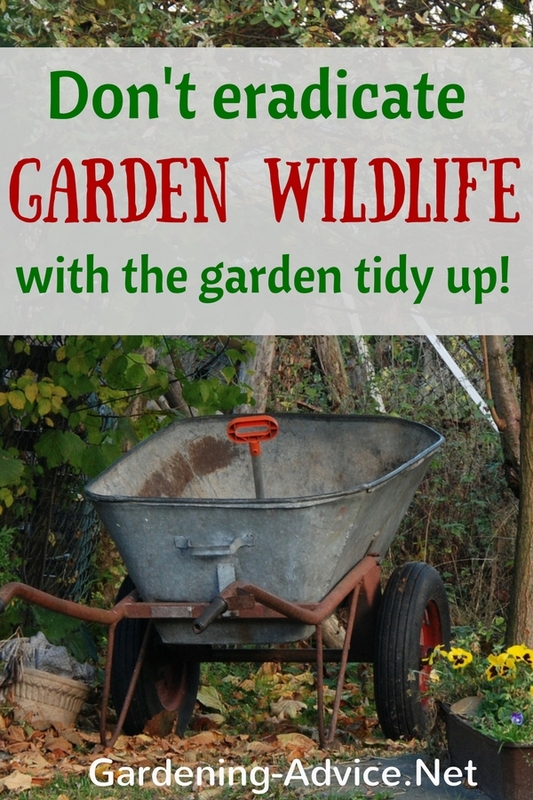 So get your secateurs out and let's get started! 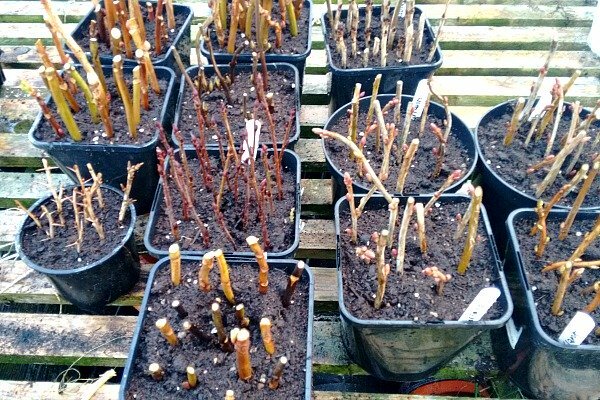 During the winter when the plants are dormant is the right time to take hardwood cuttings. 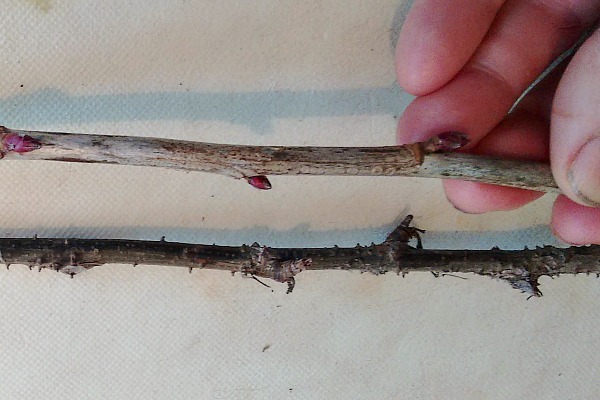 These are twigs that are not soft anymore and that have grown during the last growing season. 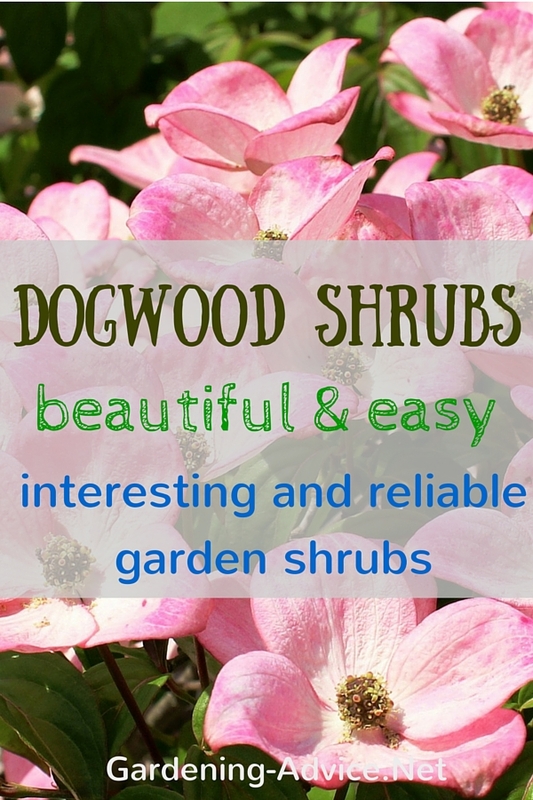 This method can be used on most deciduous shrubs and trees (and also on some evergreens). 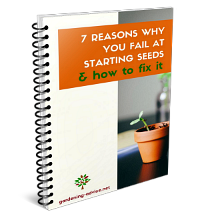 You will discover that some plants take root easily and others are harder to take root. This shouldn't discourage you, though. There is nothing much to be lost other than a few cuttings and a little bit of time. You will, no doubt, be able to produce free plants for your garden and maybe even surplus for friends and neighbors! 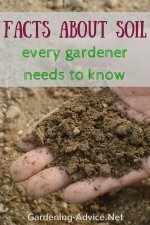 When Is The Best Time To Take Hardwood Cuttings? 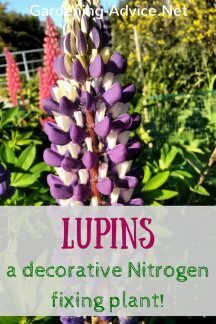 In general, this can be done from when the leaves come off in the fall until very early spring before or when the buds are starting to swell. Avoid times that are very frosty. 1. 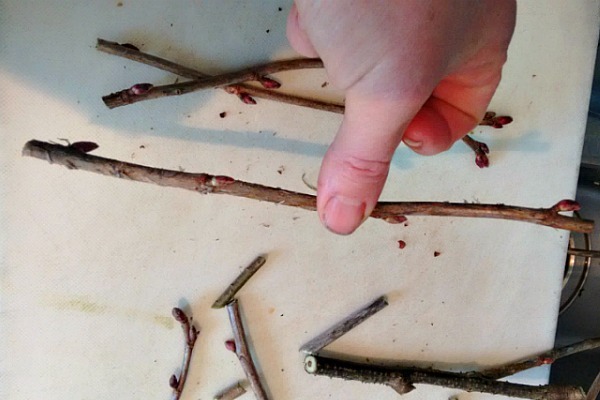 Choose twigs from the last season that are well-ripened i.e. they are not green anymore. Avoid older branches. The bark on these is more weathered and darker. 2. At the top of the cutting cut right above a bud at a slight angle. 3. 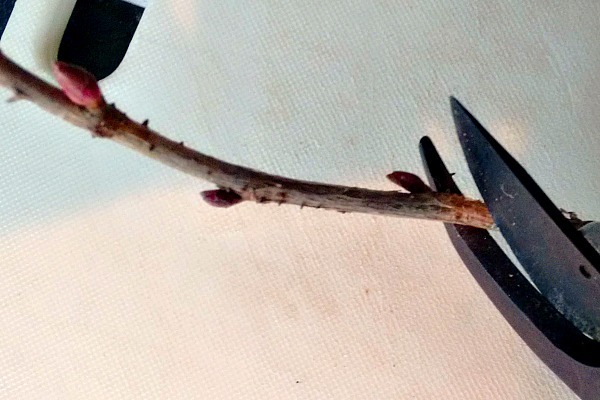 Cut below a bud at the bottom of the cutting. 4. 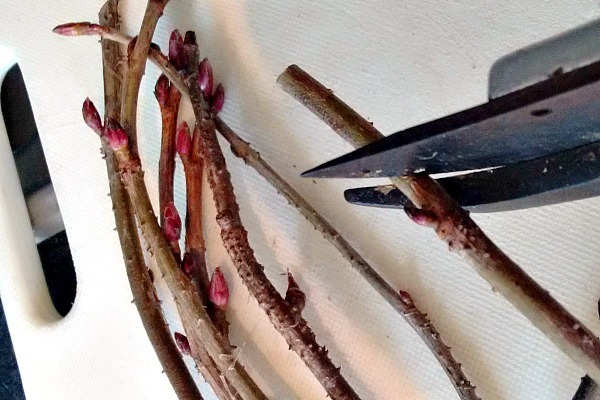 A cutting should have at least 3-4 buds (or more). Depending on the plant and where on the plant you cut from the distance between the buds can vary significantly. 5. 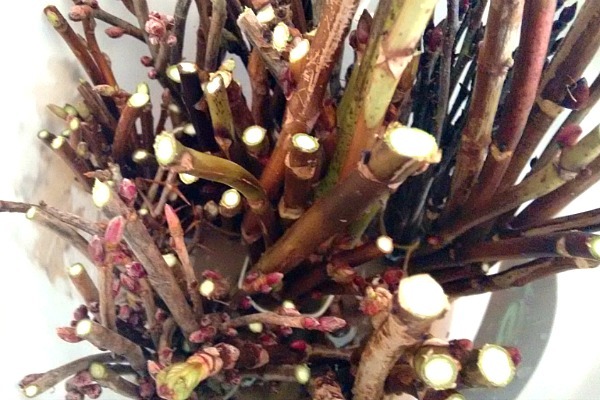 We soak the cuttings overnight in willow water as described here. This is easier if you carefully bundle the cuttings. If you use hormone rooting powder, dip the bottom end of the cutting in, shake off any excess and insert the cutting into pots filled with potting soil. 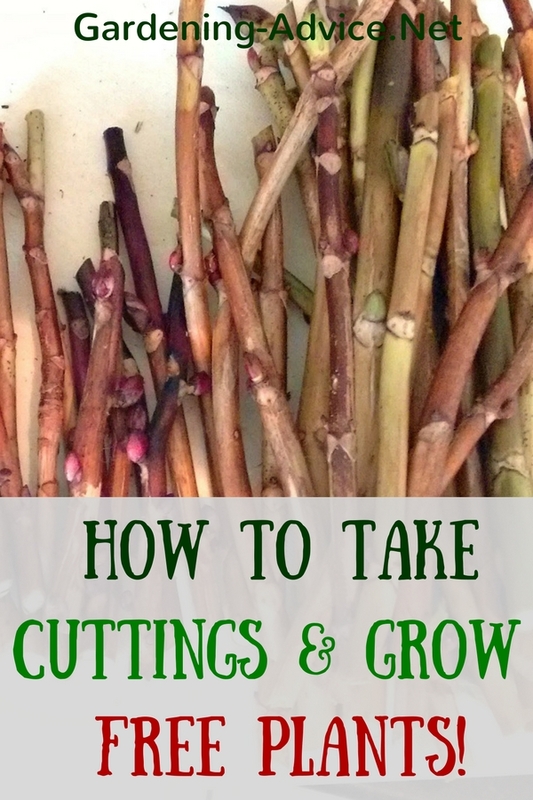 With a large quantity of cuttings, it might be more economical if you put them in soil. About two-thirds of the cutting should be buried. Keep the cuttings in a sheltered spot. A cool greenhouse or cold frame is ideal. Otherwise choose a sheltered spot outside. Keep the cuttings moist but not wet. Watering them once or twice with willow water might help to produce roots faster and stop them from rotting. Some time during spring the twigs should show signs of leaf growth. Once you see signs of growth (not just a leaf) it is time to check for roots. 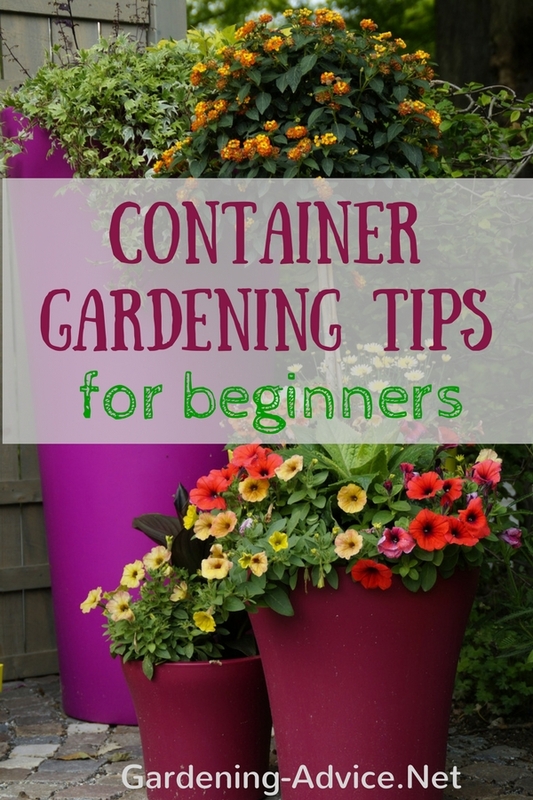 Carefully take the cuttings out of the containers (or lift them out of the soil). Transplant the rooted cuttings either into individual containers or right into the ground.